As the three month Apple Music trial period draws to a close for those who signed up at launch, Apple has confirmed that there are still big improvements coming to the company's Spotify rival. 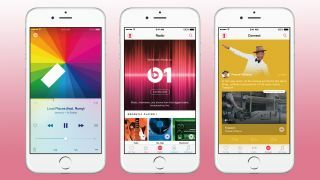 In an interview with The Guardian, VP of iTunes International Oliver Schusser admitted that the launch of Apple Music wasn't without issues and that the company is working hard to improve the service, taking into account user feedback. "There's a lot of work going into making the product better. Our focus is on editorial and playlists, and obviously we have teams all around the world working on that, but we're also adding features and cleaning up certain things," Schusser is quoted in the article. With Apple differentiating itself from rivals with a wide selection of curated playlists, as well as the successful launch of its Beats 1 radio platform, the focus for now consists of fixing issues and adding new features. One big area of focus is the Apple Music Connect platform, which allows fans to connect directly with artists. Schusser claims the service is picking up steam, with more and more artists starting to engage with the platform. The company is also committed to bringing Apple Music to both Sonos and Android platforms within the next few months, although Schusser claims there's still a fair amount of work to be done. Still, with over 11 million customers currently signed up for the three month trial, those who signed up on the June 30 launch day will soon be faced with the question of whether or not to pay up the monthly subscription fee. For Apple though, the number of people signed up is less of a focus than trying to improve the product, as Schusser told the Guardian. "Our focus is more on the product than anything else: we spend most of our energy on that," he's quoted as saying. "That's more our priority than checking every hour the amount of people who have signed up. We have more of a long-term perspective on this."